By Peter Keenan on 2013-03-17 - Peter has been with the Birmingham Post & Mail since 1990 and took on the role as motoring correspondent in 2007. 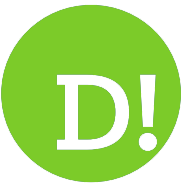 He has been part of the Driving Force team for more than 10 years and his reviews are used nationwide by Trinity Mirror publications. 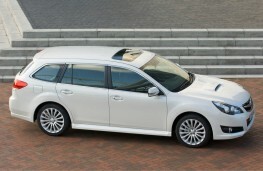 THE Subaru Legacy Tourer lives up to its name as this motor spans more than two decades and four previous generations. 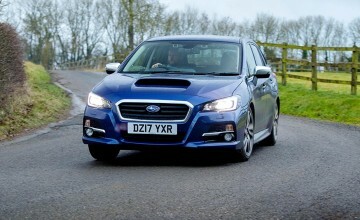 The result of all this development is a fifth edition that is a smooth cruiser boasting the latest permanent all-wheel drive and Boxer engine technologies we've come to expect from Subaru. 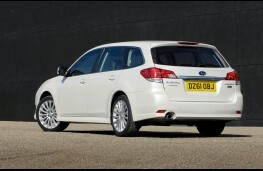 There's a reasonable price-tag as well as the Legacy ES Nav automatic is available on the road for just north of Â£24,000. 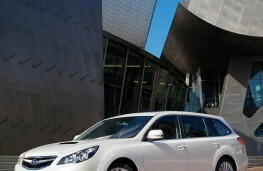 For this you get a model with a high level of standard specification which includes a full colour satellite navigation system with touch screen control, CD/DVD playback, integrated Bluetooth hands-free connectivity and steering wheel-mounted controls. 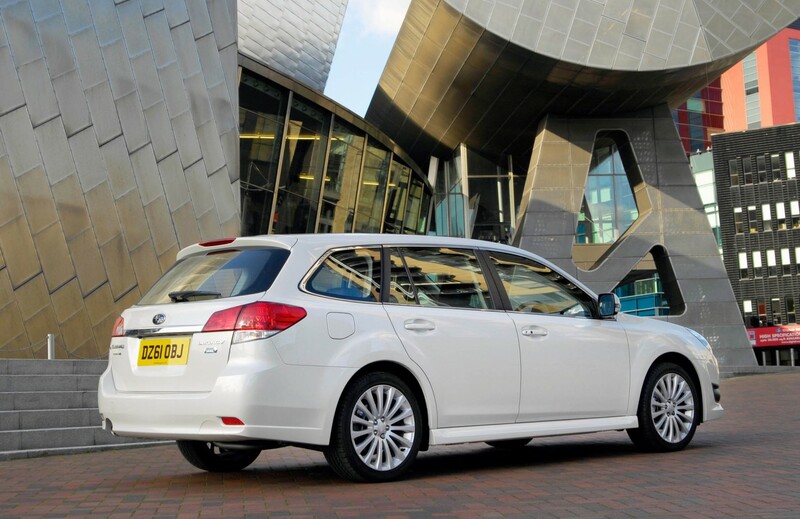 Other standard features include automatic headlights and windscreen wipers, remote control central locking, dual-zone climate control, one-touch fold down rear seats, alloy wheels, electrically adjusted driver's seat and a decent alarm and immobiliser system. 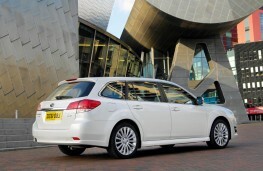 In total there are seven versions of the Legacy Tourer, with a choice of diesel or petrol engines and four trim/equipment levels - ES Nav, S, SE and SE NavPlus. 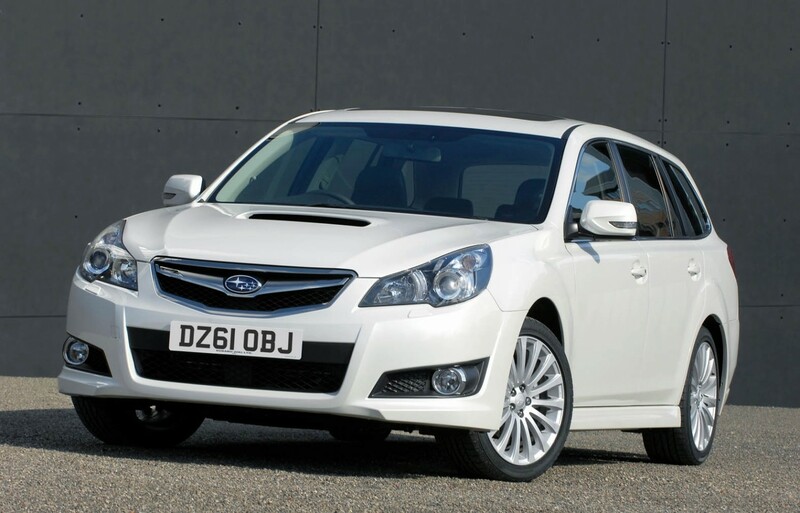 The two-litre boxer petrol engine comes with a choice of a six-speed manual gearbox or the optional Lineartronic CVT automatic transmission on the model I tested. 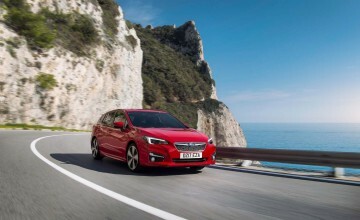 When linked with the automatic gearbox it accelerates the ES Nav model to 62mph in 11.3 seconds with fuel economy coming in at about 35mpg on the combined cycle - which to be blunt is nothing special. 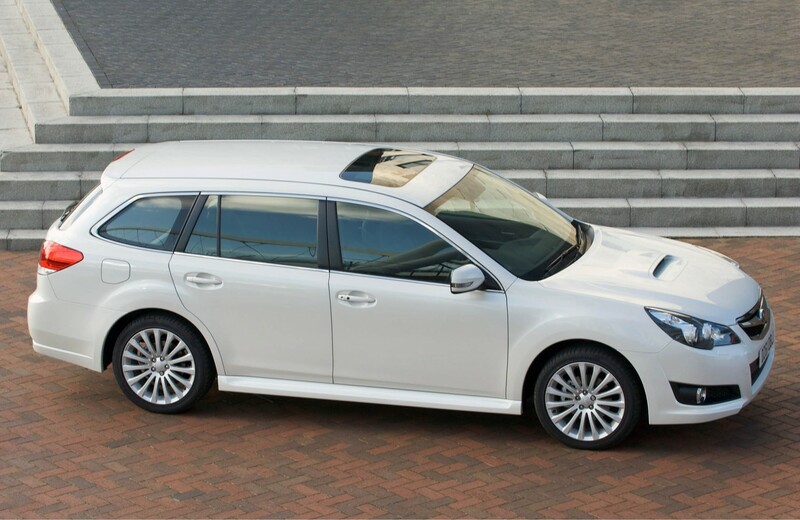 Where the power package does score is in smoothness as it makes the Legacy a relaxing car to drive. The automatic gearbox features a compact gear selector and a straight-line selector gate for ease of operation. For the racing drivers among you there are steering wheel-mounted paddle-shifters to manually change up or down. 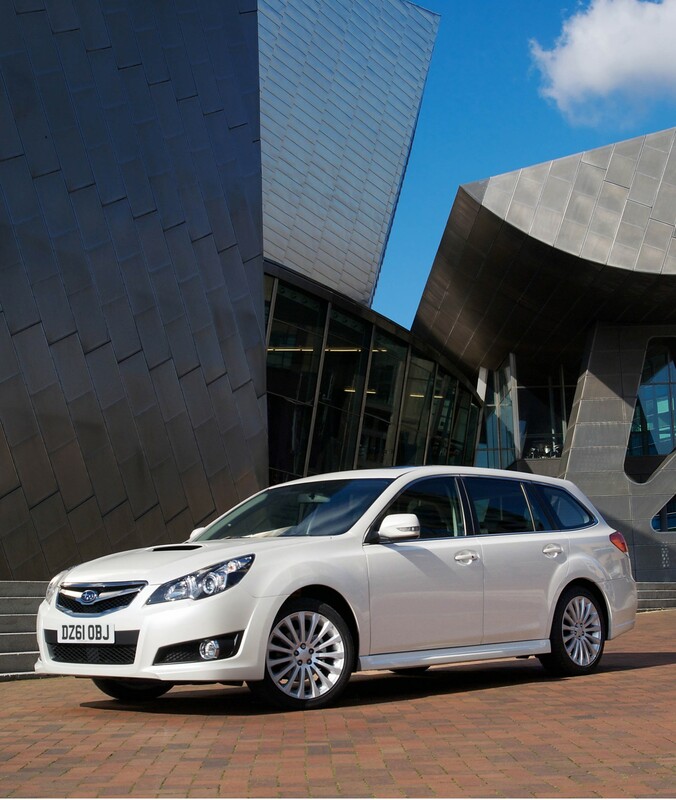 Subaru's luxury estate offers fresh, modern styling and a spacious cabin. 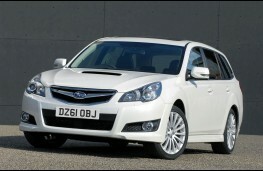 The latest Legacy is longer, wider and taller than the previous model resulting in greater head, leg and shoulder room. There's 526-litres of luggage space in the boot with the rear seats up and cave-like dimensions when they are lowered. The double-seals on all doors and windows enhance refinement with little in the way of road and wind noise making it into the cabin. The front seats offer comfort and support with 10-way power adjustment on the driver's seat and four-way manual adjustment on the passenger seat. Rear passengers get a 60/40 split backrest which reclines. The instrument panel features four dials ringed in aluminium featuring an additional liquid crystal display panel in the centre. The dials and the display are illuminated constantly, even in daytime, to improve visibility. They appear white with the ignition off and turn a snazzy light blue when you turn the key. A multi-information display, positioned on the centre stack's upper surface so it can be viewed from all seats, shows temperature, fuel consumption information, passenger seatbelt warning lights and a digital clock. 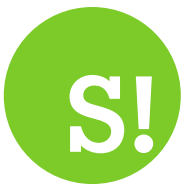 Major controls are laid out to minimise both the intrusion into the driver's line of sight and the time hands are away from the steering wheel. Minor controls and switches are positioned with a focus on ease-of-use for the driver. 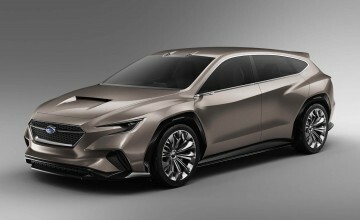 For the fifth-generation Legacy, Subaru's design team wanted a bolder exterior look so the front grille and headlights were revamped while the longer wheelbase enabled designers to sculpt a motor with a more aggressive stance and improved on-road presence. 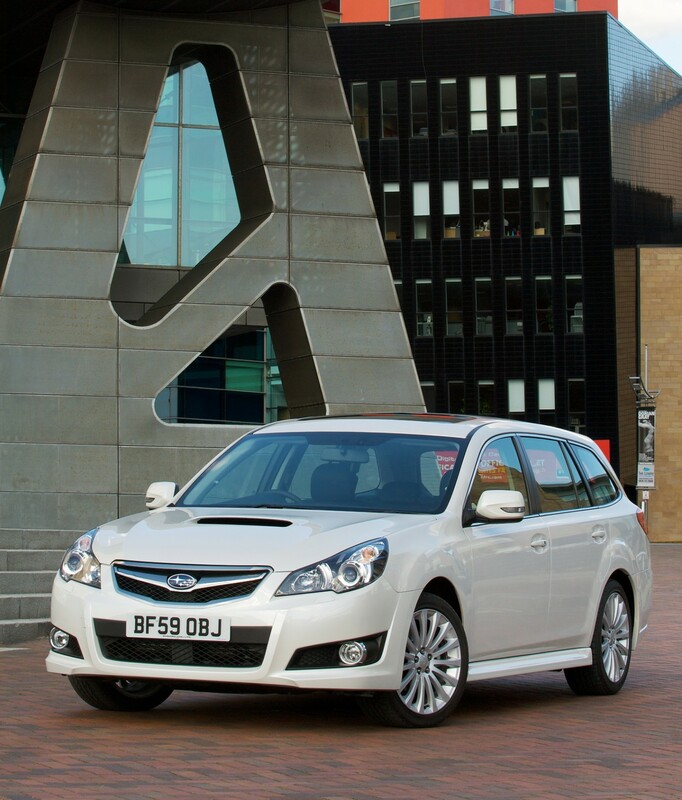 The Legacy's re-engineered all-steel structure also delivers excellent crash safety performance - achieving a 5-Star rating from EuroNCAP. Added to this is Subaru's exceptional Everything Taken Care of (ETCo) aftercare service which is worth up to Â£7,000 - but adds nothing to the price you pay. The package covers minor dent and scratch repairs, alloy wheel repairs, monthly wash, annual valet, lost keys replacement, service collection and delivery, annual wheel alignment check, first MOT cover, and winter wheel and tyre storage, as well as an accident management service and a contribution to insurance cover excess. 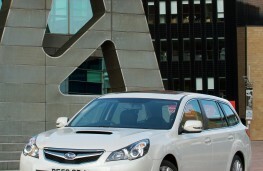 All this is in addition to Subaru's three-year/ 60,000-mile manufacturer warranty.